If there’s one thing certain about the Zowie FK1+ gaming mouse, it’s that looks aren’t everything. In fact, the Zowie FK1+ is one of the best mice I’ve used in a long time. So I couldn’t help but buy one myself after I tested the mouse this past week for about 5 hours of gameplay and 2 hours of just regular office work. The FK series includes the FK1+, FK1, and the FK2. So, what’s the difference? Each model comes in a different size and the FK1+ is the biggest in the series. In this review, I’m going to break down the Zowie FK1+ and by the end of it, you might just find yourself ordering one too. At first sight, the mouse appears to be simplistic. It’s sleek black design and rounded corners make this one of the subtlest mice I’ve ever used in terms of looks. The only thing that stands out on the mouse is a small, red Zowie logo on the bottom of the mouse. Furthermore, there are no lights on the mouse, which more and more gamers consider to be one of the top factors in their buying criteria. But what the Zowie doesn’t have in looks and aesthetic features, it makes up in performance. The result is a superior performance mouse that doesn’t let its bells and whistles speak for it. For myself, I think if the bells and whistles are the sacrifices for better performance at a reasonable price tag, then so be it. Let’s get down to the software installation. Well, there is none, and quite frankly, I love this about the Zowie FK1+. It saves you the hassle of dealing with CDs and then storing them afterwards. On the other hand, if you’re keen on being able to create customizable settings for your buttons, then the lack of software may be problematic. I personally do not prize this feature on a mouse and often use third-party software to do so if needed. The second thing I noticed is the mouse’s ultra-comfortable ergonomic design, which is good for all kinds of grip styles. 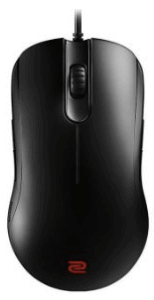 This mouse is designed to suit, both, palm and claw style grip techniques. However, due to the size of the FK1+, its slightly more advantageous to gamers who use the palm grip. Another thing I noticed is that Zowie purposefully placed two thumb buttons on both sides of the mouse to accommodate left- and right-handed players. In terms of quality, the Zowie FK1+ doesn’t beat around the bush. The mouse comes with an extra pair of feet, which is a nice feature that virtually no other mouse company offers at this time. There’s also no rubber material on the Zowie FK1+. Instead, the company used a granular finish, which is an indicative of Zowie’s reputation for building high-quality and durable gaming mice. The rubber cable is a nice change from the usually braided cables in a lot of gaming mice even in this price range. Nothing is more obnoxious than a braided cable getting snatched on things and ruined over time. The sensor is possibly the most stunning aspect of this mouse. The Zowie FK1+ comes with an Avago 3310 optical sensor, which is just about one of the best sensors I’ve come across in my gaming and mice-reviewing career. The sensor’s minimal lift off distance and total absence of prediction and acceleration, make the Avago 3310 a superior optical sensor. You can even adjust the LOD to work with different types of mouse pads, which improves its sensor performance. In a game of CS, the sensor’s performance is flawless for aiming. The Zowie FK1+ comes with four different DPI adjustment settings. These are 400, 800, 1600, and 3200. You can easily change the DPI on-the-fly with the click of a button. 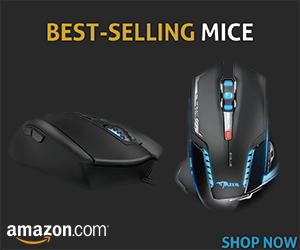 The mouse has an improved button latency, which is between 5-15ms faster than its predecessor. The left and right thumb buttons are extremely easy to click and have a subtle clicking noise. I never dealt with sticky buttons. If the Zowie FK1+ has one downfall, it’s the scroll wheel, which I caught myself accidently activating at least two times. My overall impression of the Zowie FK1+ is that it’s a mouse with a lot to hide. It’ll surprise you and if you merely passed it by in the store then you may very well never even imagine it’s massive potential. On the other hand, as with any mouse, there are flaws. 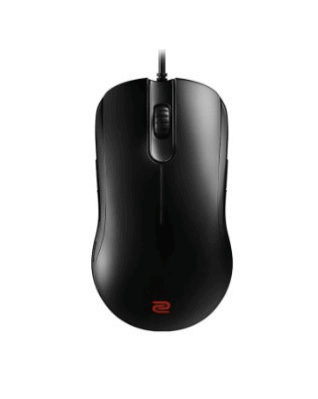 For the Zowie FK1+ it’s the scroll wheel, which is buggy and sometimes unreliable. If you can manage to adjust to this minor flaw, then you’ll find that the Zowie FK1+ promises performance without the need to overcompensate with high-tech looks.